Supporting parents through the early years because great parents grow great children! Auckland East Parents Centre (AEPC) is a volunteer organisation run by parents for parents. We are one of 50 Parents Centres nationwide. 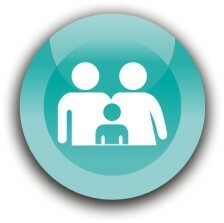 To visit Parents Centre New Zealand’s website, please click here. Expecting a baby soon or have little ones at home? Check out our great range of parent courses to help you on this amazing journey. Join our Toy Library to enjoy the benefits of new toys for your little one every second week without the hefty price tag or storage issues. With over 35 years in East Auckland, the most comprehensive courses in the area, and many more benefits - we’re the best choice for new parents.